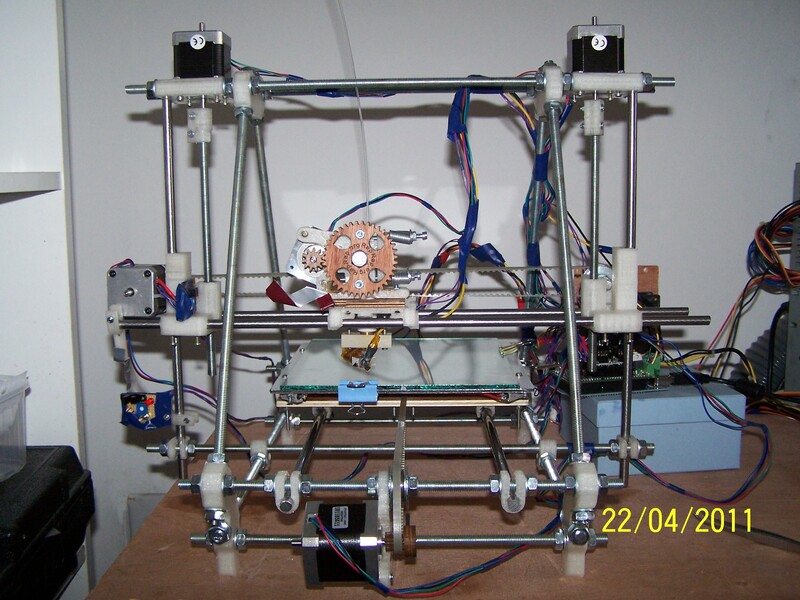 After almost 3 weeks of printing the parts using my Repstrap I’ve finally got a RepRap! 13 mm/s was the top speed of the repstrap, limited by the leadscrews…. the Prusa will be limited by the extruders ability to keep up but I’ve been printing at 30 mm/s for now as 50 mm/s was a little sparse and any faster and its difficult to see whats happening (I’m used to slow prints remember!) . 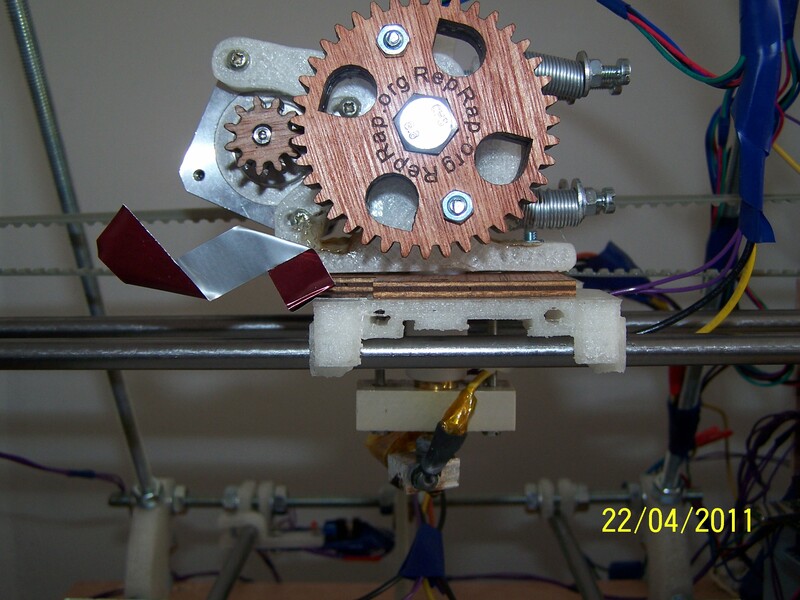 I’ve also printed out an Accessible Wade’s Extruder by GregFrost to replace the plywood extruder. So its back to some optimising…. happy days. Recently I bought a micro SD card reader from Kliment (hes always in #reprap irc channel), so when I’ve the skeinforge settings under control I’ll upload his firmware and print from SD which will make life easier for my rusty old pc. This entry was posted on Friday, April 22nd, 2011 at 20:30 and is filed under Uncategorized. You can follow any responses to this entry through the RSS 2.0 feed. You can leave a response, or trackback from your own site.